James Hinchcliffe, who sat on the pole at Indy just a couple of years ago, failed to make the field this year. It was a crushing setback, he said. On Saturday, Hinchcliffe had to wait to make a qualifying attempt until after the first of two rain delays. The first driver on the oval when qualifications resumed, Hinchcliffe posted a disappointing run of 224.784 mph in the No. 5 Arrow Electronics SPM Honda. That effort was bumped off the chart by friend and former roommate Conor Daly with less than 20 minutes left in the session. Hinchcliffe went out to make another attempt, but sensed a vibration in the car from what later was discovered to be a tire pressure sensor failure and didn’t take the green flag. After quick repairs by his Schmidt Peterson Motorsports crew, the car was rushed back into the qualifying line but time ran out with Mann on track and Hinchcliffe sitting in line next to go. Mann, bumped earlier in the session by a Daly attempt, wasn’t able to muster enough speed on her final four-lap/10-mile run to dislodge James Davison from the field. Mann, a 34-year-old native of Ipswich, England, living in Indianapolis, made her Indy 500 debut with Conquest Racing in 2011, finishing 20th after becoming the first Englishwoman to qualify for the race. The consequences of failing to qualify for the Indy 500 are much more serious for Hinchcliffe. The 31-year-old native of Toronto is fifth in the driver standings after a seventh-place finish in the INDY Grand Prix on the Speedway’s infield road course on May 12. Indy 500 results will pay double-points. Saturday’s qualifying determined the 33 cars that will start the race on May 27, but not the grid order. Led by three-time Indy 500 champion Helio Castroneves of Team Penske, Sunday’s Fast Nine Shootout will decide the Verizon P1 Award and grid positions for the first three rows. The 10th- through 33rd-fastest qualifiers from Saturday will make another four-lap/10-mile run Sunday to determine those starting positions. Sunday’s qualifying is available from 2:30-4 p.m. (EDT) on WatchESPN and from 4-6 p.m., on ABC-TV. The 102nd Indianapolis 500 will air live beginning at 11 a.m. on May 27 on ABC and the Advance Auto Parts INDYCAR Radio Network. THE MODERATOR: Pippa, take us through your day and the emotions that come with it. PIPPA MANN: “Coming into this May, I knew things were going to be tough. I normally get time in an Indy car once a year. With a new aero package, not getting to do any of the testing ahead of time because we don’t have a budget that allows for that. All of the people who have supported me to be here, Dale Coyne Racing, the entire crew on my car, worked so hard to turn that car over from a road course car to an oval car so we could shake it down, get me through my refresher on Tuesday. “Wednesday and Thursday, I’ll be honest with you, we thought things were going pretty well. The car handled great. It was really good. It was pretty good in traffic. We thought things were rolling along pretty nicely. The no-tow reports, they looked fine. “Then yesterday morning, I rolled out, 226 out of the box. 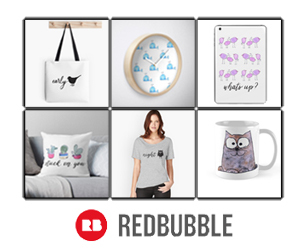 Great, this isn’t bad. Now let’s trim the car. Went through it again _ nothing. That’s when we started to realize we might really be in trouble. We tried everything we could think of yesterday. The boys stayed really, really late last night. We pulled the rack off the car, we re-sanded the car, re-sanded the floor. We went through all the brakes again because we thought we had some brakes that were dragging a little bit out. “I knew if everything we did last night still hadn’t made us go faster, we were going to be in trouble today. But you have to try and get out there anyway. When we got back in line for the last run, we took every single trim we could possibly could to the racecar, we did everything. “Obviously it wasn’t enough. What’s worse, it was slower than our time before. Once you pulled your time, if the car is still functioning, you kind of have to finish the run because what if somebody in front of me just didn’t get through tech and I withdrew and didn’t complete my run and pulled off the racetrack? THE MODERATOR: Now joined by James Hinchcliffe. Take us through that last run and what you were feeling from the car when you felt the vibration. 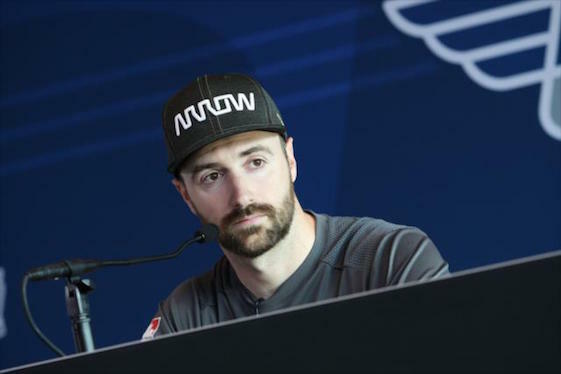 JAMES HINCHCLIFFE: “I just want to first start off by saying, I haven’t been on the Internet, heard anything myself, but heard some stuff from other people. This is in no way Pippa Mann’s fault. This is our fault. If there’s anybody out there that has anything bad to say about that, you don’t know motorsports. Keep your mouth shut. “The track kept getting a little bit quicker, so we were pretty optimistic, to be honest. As soon as I left pit lane, I felt a horrible vibration. Called it in. Weirdly, it started to go away. I thought I had some pickup on my tires or something. I called into the team, ‘I think it’s all right, I’m going to keep going.’ Turn three, it all came back again. It was violent. “Came in, we have since diagnosed a tire pressure sensor failure, kind of broke off the rim, was rattling around inside the car, which at 200 plus miles an hour doesn’t feel good. I think we had to come in. If we had to stay out, good chance we would have gotten tire failure, you would not be in the show, have a broken race car. “It worked out timing-wise, not enough seconds in the day to get our last run in. For sure the car had speed to be in the show. I mean, not the fastest car by any stretch this month, but we weren’t expecting that. But certainly enough to be comfortable in the show. QUESTION: In 2011, Ryan Hunter-Reay failed to qualify. They (Andretti Autosport) purchased the car from A.J. Foyt. Is that something you would be willing to do if your team ownership was willing to go that route? QUESTION: Go through the last bit where you were in line, then just sitting there. Were you expecting the gun to go off at 6 p.m.? What exactly happened there? QUESTION: Bit of a hypothetical here. You obviously didn’t get to get up to speed when you had the vibration issue. What was the sense within the team about whatever setup advancements you made? Do you think you had the speed to get in? JAMES HINCHCLIFFE: “Yeah, I mean, tragically the first run we did, we did find a problem with the car. We know exactly what took the speed away we had yesterday. That being rectified, we kind of expected, the margin not being super big from our previous runs to get in the show, we were sort of expecting a bit of a jump in pace. I think Jack did a pretty decent jump in pace on his second run. He had a similar problem to myself. QUESTION: The way INDYCAR had guys going out to get in the Fast Nine, guys to get bumped back into the field or keep from getting bumped, would you like to see that split where one ends at 5:30, then the last 30 minutes set aside for the bumpers? JAMES HINCHCLIFFE: “Yeah, sure, now I do. It would be great. Until that scenario comes up, nobody really thinks of it quite going down like this. I’m sure INDYCAR will look at it. Whether that leads to a change or not, I don’t know. QUESTION: James, do you feel already qualified drivers who went out to improve their speed in hope of getting into the Fast Nine maybe took up too much track time? JAMES HINCHCLIFFE: “I’m not going to criticize anybody for going out and trying to improve their qualifying time. There are some guys that are trying to bump in the Fast Nine, some guys that maybe weren’t really quite close enough to being in trouble that still went out even though they had no chance to get in the Fast Nine. That’s their right. They have every right to do that. QUESTION: When it comes down to seconds like it did, how frustrating is the impact of the weather we saw today? QUESTION: You talked about this place being “a cruel mistress.” Changing the subject a little bit, Bump Day _ we haven’t had it since 2011. You’re obviously on the wrong side of it. What are your feelings about Bump Day? JAMES HINCHCLIFFE: ”Everybody has been hoping for a Bump Day since 2012. It’s part of the tradition of this race, the excitement of about this race _ 33 cars start, that’s the deal. It always has been. Barring extenuating circumstances, I’m all for it.